. استمتع بالخدمات الراقية والضيافة التي لا مثيل لها بهذا الفندق في هذه المدينة رائعة الجمال. يمكن للنزلاء الاستمتاع بالميزات التالية: خدمة حجز التذاكر, تسجيل وصول/خروج سريع, تخزين الأمتعة, واي فاي في المناطق العامة, صف السيارات أثناء إقامتهم في هذا المكان الرائع. استمتع بوسائل الراحة الراقية في الغرف أثناء إقامتك هنا. بعض الغرف تتضمن غرف لغير المدخنين, مكيف هواء, تدفئة, مكتب, ميني بار لمساعدتك على استعادة طاقتك بعد يوم طويل. كما أن مجموعة الخدمات الواسعة الموجودة في الفندق لضمان راحتك تترك لك الكثير من الخيارات لقضاء وقتك أثناء فترة إقامتك. استمتع بخدمات لا يعلى عليها وعنوان ذو اعتبار في منتجع بومبورا . Budget accommodation and easy location. Building is getting old so got woken by the water pipes groaning early in the morning and unfortunately I had unit right outside the office where everyone seemed to gather and have a good yarn so was kept awake. You only have read the history to know the significance, age and story of this fascinating place. Flash, no but value, yes. If you want a place Graf is c,wan, ideally located and comfortable, look no further. The Gold Coast and Northern Rivers are best viewed outdoors, not within a room pretending to be a paradise! Good Value for the price. Light and clean unit with comfortable bed. Very small bathroom with handbasin in lounge area which is a little inconvenient. Was disappointed that there was no breakfast option this time as it was cancelled due to no tours. Usually this is great value. Excellent location and very affordable place to stay. 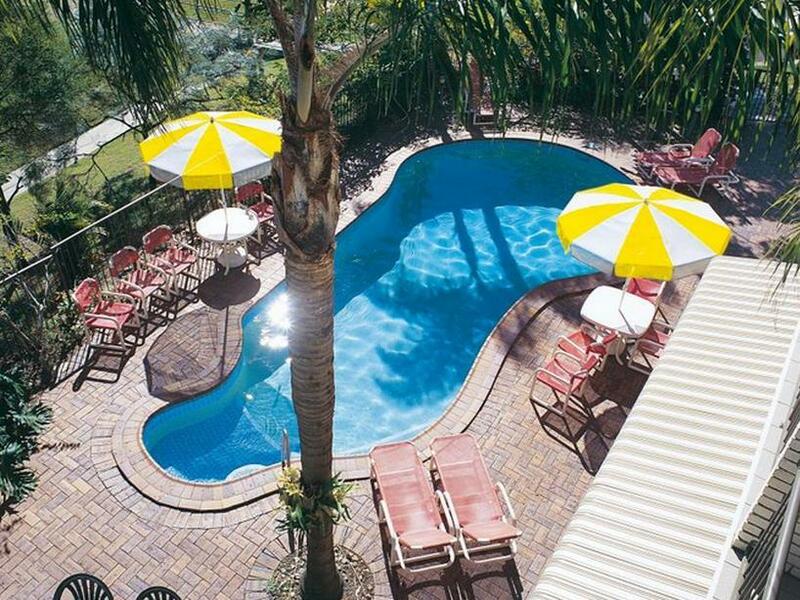 Pool is the perfect temperature and clean; staff are all very friendly. Only issue would be car parking spaces but cannot fault accommodation for the price. Thanks again; would stay at again. Our first time here will not be our last. We’ve already booked another 3 night getaway her. 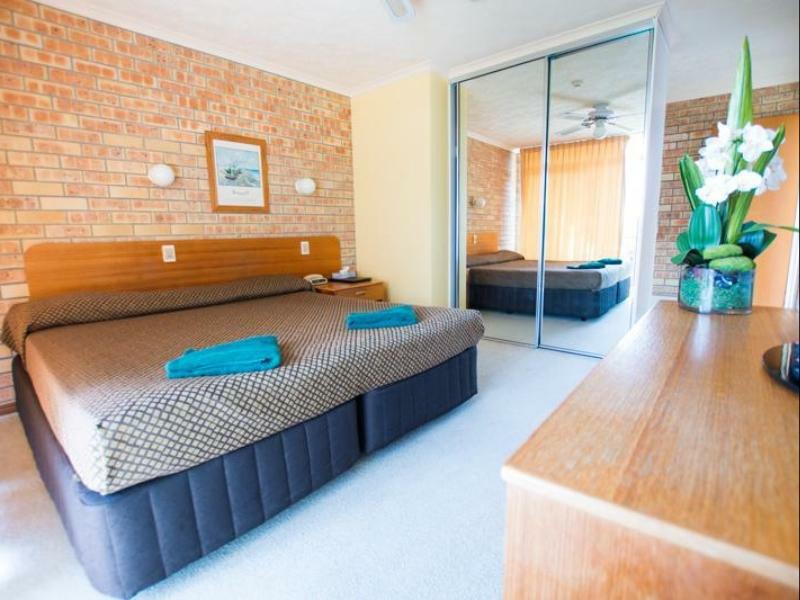 Conviniently located motel-style hotel, which is a 10 min walk from the main beach and even closer to the local shopping mall. The room was clean and spacious, the A/C worked fine. Furnitures and the place in general are a bit old and there is no drying rack for the swimsuits. It seemed like most of the guests were families during our stay. 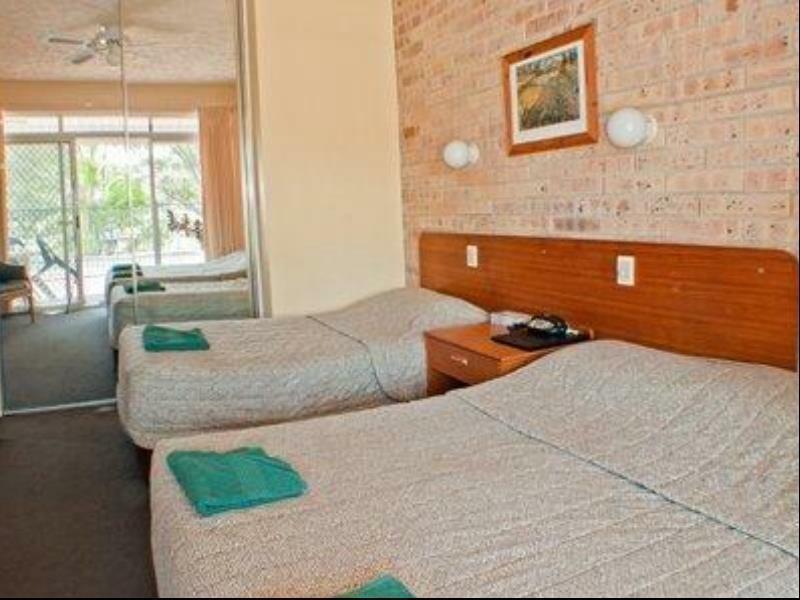 Not on the beach but only a five minute walk, this motel type resort is excellent value for money. Entirely rebuilt for the original 1948 motel in 1989, it is a little dated but the friendly staff are a real plus. Check if there is a seniors or Chinese tour group booked in at the time you're there as the buffet breakfast ($10 M-F, $12.50 S-S) is a bargain. Been there several times now and happy to go back. We stayed one night before our flight, close to the airport and the beach. Really clean and comfortable even though the room was dated. Will stay again. We spent one evening here and were very pleased with the accommodation. For the price, the facility was more than enough; not luxury but very comfortable with no frills. 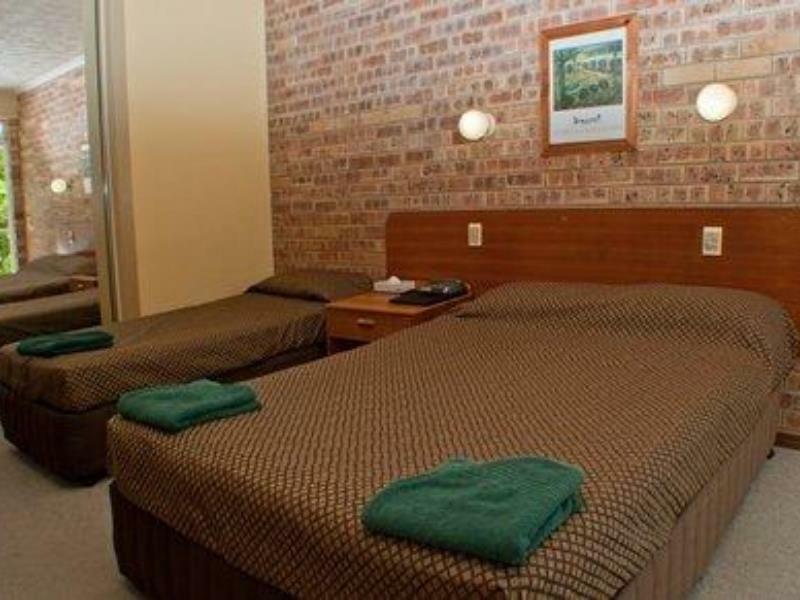 It is situated next to a park and a short walk from shop[ping and gaming facilities. 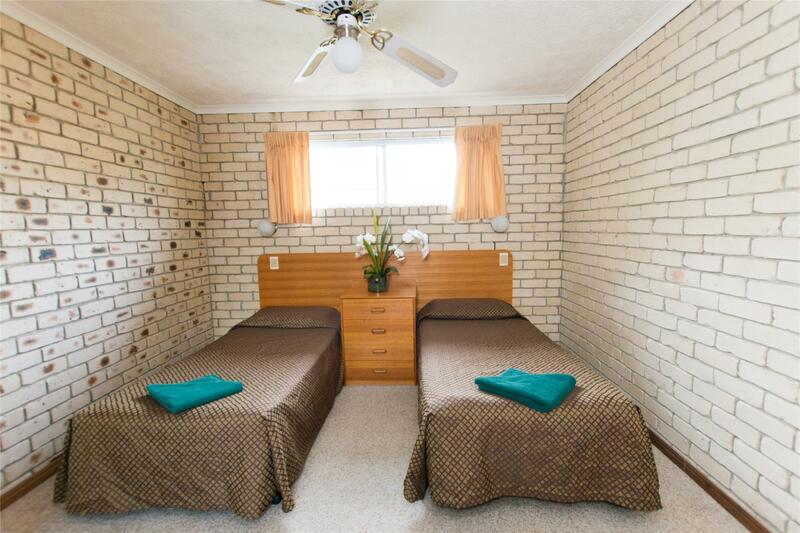 basic accommodation but still really good value for money and location was excellent being close to the beach and the main street of Coolangatta staff were friendly as well I would definitely stay there again. Bombora , for a 70,s building delivers everything required for a carefree stay. The bed was very comfortable with quality linen. Everything worked well and although the bathroom may be a little small for some , the shower was great. A full buffet breakfast for $12.50 set us up for a short walk through a pretty park to Cooangatta beach and the shopping centre. The staff were very friendly and always available. Great value. we stayed for the commonwealth games so the rates were obviously over inflated. location is great. easy walk to the beach, shops and restaurants. room was adequate and clean. however there was no water pressure in the shower. to say it was trickling would be an overstatement. and absolutely no temperature regulation. we couldn't use so just went without - no big deal as we were only there for the night and used the beach showers. I'm not fussy with accomodation. but a functioning shower is a given anywhere outside of camping.